VIETNAM: Doosan Heavy Industries has signed agreements to develop wind farms in Vietnam, including a storage-linked offshore demonstration project. Alongside Vietnamese state power company, Vietnam Electricity (EVN), Doosan will develop a 3MW offshore wind demonstration project linked to an energy storage system, the company announced. The two companies will secure the test site and seek approval for the project, while Doosan will build the site on a turnkey basis before providing operation and maintenance (O&M) services. Geewon Park, Doosan Heavy Industries’ (DHIC) chairman and CEO, said: "The outcome of this project will be an important turning point for DHIC in terms of its renewable energy business." Doosan will also work with Vietnamese construction company CC1, which it says holds a license for up to 105MW of wind power capacity in the southerly Binh Thuan province. It will provide O&M services for two wind farms in Binh Thuan, Doosan stated. Doosan had previously developed South Korea’s first offshore wind farm, the 30MW Tamra project off the southerly island of Jeju, and supplied turbines for a number of small projects in its native country. 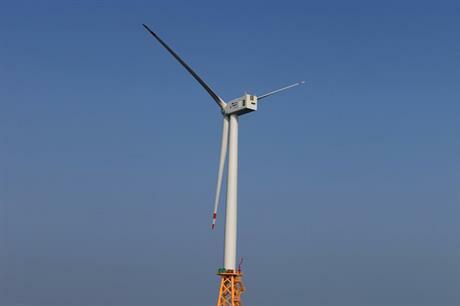 The Vietnamese projects would be Doosan’s first overseas wind farms, the company stated.